All closure notices arrive via The Shutter. The tipline awaits your sightings. The Sunset: It made the rounds a few months back, but today is the first day of Ebisu's self-imposed hiatus. Starting now and lasting until January, the sushi spot off the corner of Ninth and Irving will undergo substantial renovations including but not limited to a new sushi bar, new interior decor, new menu, and uh, new website. 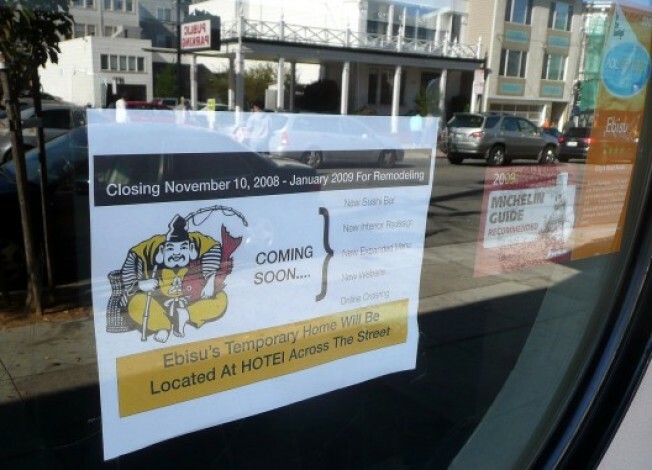 NB: Sister restaurant Hotei across the street will be serving most of the Ebisu menu items in the meantime.